Are you American? 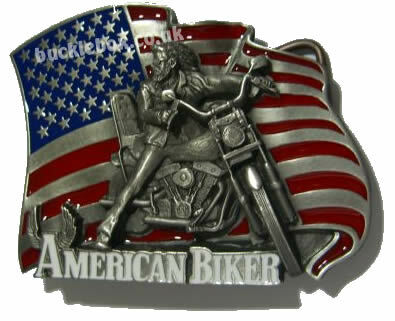 Are you a biker? Then why not show off your love of your country - as well as your bike - even when you aren't riding around on it, with this American biker belt buckle. Let fellow bikers know that you are one of them, and maybe they'll spot you in a bar and buy you a drink. Worth a try, no?